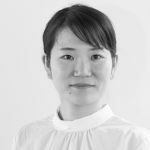 Rieko Sato joined UNU-IAS as an Administrative Programme Associate for the Natural Capital and Biodiversity (NCB) in October 2015. Prior to joining UNU-IAS, she was involved in policy development process for environment programmes at regional and local levels in United Nations Centre for Regional Development (UNCRD, 2012-2015) and local governments in Japan (2007-2012). She majored in environmental geology, and received a Master’s degree in Environmental Sciences from Yokohama National University.